When you are first raised to the Sublime degree of a Master Mason, chances are these days you will be asked to become an officer of the lodge. Although being asked to assume a chair in the lodge room, that seat comes with responsibility. You will soon discover as you advance through those chairs the seats become more comfortable, but the comfort of the chair comes with a price. If you are anything like me, you are probably thinking “No biggie! I’ve got this!” You will even tell yourself, “I’ve chaired committees and I’ve been the president of other groups, it can’t be that much different!” Forgive me Brother, while I suppress a small chuckle as I continue to explain. In the last few decades many lodges have replaced Masonic education in their stated meetings with a Secretary reading the minutes of the lodge in a quiet monotone voice, and delightful discourse of Past Masters complaining about the cost of doing business in the current year, versus what the cost of running the lodge was when Brother Gerald Ford sat in the White House. This gives a newly installed Worshipful Master many issues. 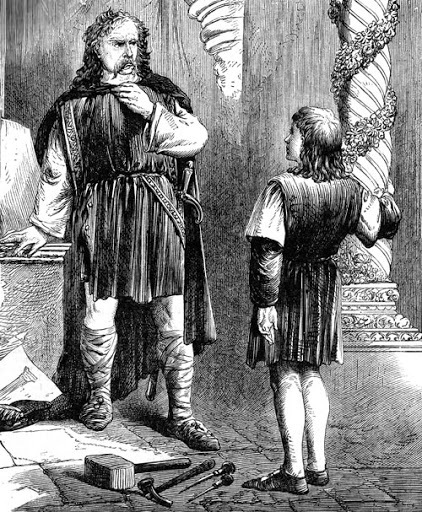 The poor guy needs to understand how Masonry works, but with no experience he will only discover, “What he did wrong", when, after the close of lodge, several bony fingers of Past Masters begin to harangue the poor guy with a laundry list of mistakes he made during the meeting or degree work (After they thoroughly argued amongst themselves). Where is this Master supposed to gain the experience he will need to sit in that comfy chair in the East? Sadly, there is only one place: The progressive line. Each year, in theory, the man is advanced (or progressed) to the next chair and his education is furthered and the responsibility of that chair continues to grow. Many Brethren (Including myself) aren’t the biggest fans of the progressive line system. Many argue that the progressive line just moves men along, from chair to chair, until they reach the position of Senior Warden and it is expected that the end of his term the brother should automatically be voted by the members of the lodge to advance to the position of Master. In most cases that is fine, but there have been times in every lodge (and if I am honest, Grand lodges, too since they follow the same line.) that a man is elected to the lodge's highest position who isn’t ready for the post. Or perhaps, is so incompetent that he will fail in his work or worse yet, has mercenary motives and shouldn’t be in an office and his attempts to enter should have been stopped before he passed through the West gate. Sadly, in cases like this the Brethren of the lodge have few good choices. Most of the time it is a choice of desperation, the inoperancy of their current leadership and in almost every case resentment and the loss of attendance. The progressive line is often the only source for leadership preparation and many officers must train themselves. Grand lodges may offer seminars or courses they consider to be training, but mostly it is just a course in what form to fill out in certain situations or what passage of the law book to read, and rarely has anything to do in regards with actual Freemasonry. Brethren, until we can reinstate actual Freemasonry and Masonic Education back into our lodges, here, in my opinion, are a few ways we can help educate our officers and put them on the square of success. Reading- An officers first upright step in his Masonic Education is to start reading Masonic material. Knowing our history and the symbology behind the way we do things never hurts and is always a good place to start. Find a Brother, who can serve you as a mentor. Perhaps a well-educated Past Master, and pick his brain. The possibilities are endless! Discuss with him the books you are reading or ask him questions about his time going through the chairs. Ask him what he would do differently if he had the chance. Any advice a well-informed Brother gives you, will place you on the level of success. Grand Lodge Sources- Ok earlier I did complain about the content at Grand Lodge seminars. But as part of a well-rounded education, these seminars could help you while governing your lodge. The seminars aren’t perfect but in conjunction with other sources of education these might become a valuable asset. Watching- From the time you assume your place in lodge, You should begin to watch the way the other Brethren do things within lodge. From watching other men as they do their floor work and they handle their rods to how they stand and address others when they have the floor in lodge, can provide you a good primer in what you should be doing. As you continue to progress you will notice yourself able to square your floor work as well as your older Brothers. 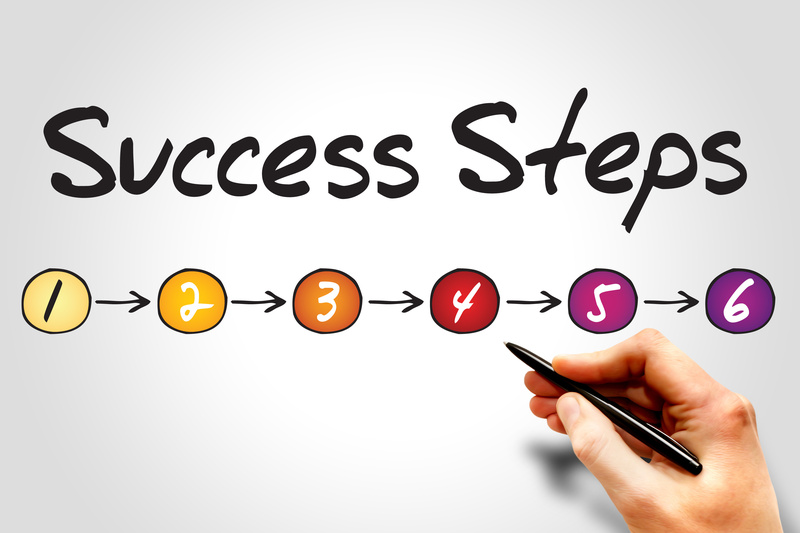 If you have questions about the process, ask the mentor we discussed above. Starting the year, you become Junior Warden you should start planning your calendar. Special events (Like Past Master nights, Widows nights…etc) should be placed on the calendar and you should begin thinking about who you would like to chair these events. In many jurisdictions lodges have standing committees. You need to consider who should chair these committees and either let them pick their own members or whether you need to pick the members for them. You will also have to begin to decide who you will choose as your appointed officer line. Some Masters (Myself included) come into the East with several agenda items they wish to accomplish during “Their year” in office. Even though many of these items will have to be voted on by the lodge (and have the potential of being voted down by the membership), you will need to plan and staff these items too. Brother, I know it can be tough. You will make mistakes and you will probably have to suffer the occasional wagging finger and rough lounge of a grumpy Past Master but that’s ok, you are tougher than that. Just learn from it and move on. Do your best and strive to make “Your Masonic year” to be the lodges greatest year and while doing so, strengthen your lodge and Freemasonry. “Make sure your laptop is out of its bag and your belt is off”. The TSA officer’s voice carries with authority over the quite shuffle of humanity. Collective sighs are heaved and the line progresses slowly forwards. The New Year has begun in an atypical fashion for me. Normally I don’t have to travel much for work but 2018 has started off differently. I have spent this month bouncing from airport to airport and from hotel to hotel and as those of you who have travelled on business can attest, the days have a tendency to blur together and time starts to be measured in terms of boarding passes and complimentary pretzels. While I can’t, with any legitimacy, count myself among the ranks of the grizzled road warriors that spend most of their working lives like this, the travel has toughened me some and the idle time between flights has afforded me some quite time for reflection. The result has been surprising insights into Freemasonry. On one morning in particular I found myself in Bradley International, Hartford CT without any coffee and a 5AM boarding time. Despite the lack of caffeine, I had the mental acuity to be struck by the similarity that exists between passing though the TSA security check and our beloved Craft. “That’s ridiculous!”, you say. Wait a moment and let me explain. First, passengers are duly and truly prepared and they had better be or else the process can become much more personal than one would like. They are then divested of all metallic substances. They make their way along the winding stairs demarcated by pylons and nylon straps. They are caused to meet with obstruction until at last they reach the inner chamber, the sanctum sanctorum of the concourse proper and are no longer tormented by ruffians. Some candidates don’t make it through smoothly owing to some shortfall in preparation. These unfortunate travelers are shuffled to the side and are, perhaps, never seen again. Now doesn’t that sound like a Lodge? The line waiting to pass through security is a scene of uncomfortable and self-conscious chaos as travelers unlace shoes and being neither barefoot nor shod, wrestle laptops and liquids out of bags. Take belts and jackets off and place them in those too small grey totes to later be invested with that of which they had been divested. In many ways this scene reminded me of the challenges that can present themselves as we try to move candidates and brothers through the degrees. And like those misfortunate travelers that are shuffled to the side, inevitably we lose some men who, for one reason or another, do not complete their degrees, do not return their proficiencies and so do not continue on the path laid out before them by our fraternity. In some cases, this is because the man is intimidated by the memorization work that is required, in others scheduling issues result in the new Brother losing interest and drifting away. In others still, the man, having dipped his toes into the waters of Freemasonry, determines that it is not to his liking and after making several excuses for why he isn’t available to meet his coach slips away into the ether. How can we retain good candidates? I suggest the problem is not one of retention but of election. We must closely look to our duty to guard well the West Gate. This is not a world shattering revelation and much has already been written on this topic. In my own Lodge we considered this problem from many angles and tried many strategies to overcome it. We made proficiencies easier, we made it more difficult, we picked candidates up in a limo and took them to their initiation. We met with them for several months before initiation, we initiated them as soon as they came through the door and still we lost some. Raising one in five. No strategy we adopted following their election to receive the degrees ensured that they would make it through. I have become convinced from our failures that the answer lies in electing for degrees only those men who truly want to be Masons, men who are truly prepared in their hearts to be Brothers of the Craft and willing to pick up the working tools for their own betterment and the betterment of their communities. Let us not allow our fears of a declining membership to cloud our judgement and cause us to accept men who are deemed fit simply because they knock on our door and can fill a chair. Men who we determine will benefit from Freemasonry but never consider if Freemasonry will benefit from them. This way leads to frustration, doubt and ultimately the weakening of our order. Let us return to our TSA analogy. While there is a winding line of travelers awkwardly preparing themselves to pass through scanners there is another group for whom no such burden is levied. These are the travelers for whom TSA has already guarded well the West Gate. These are those travelers who have already obtained the TSA Pre-check. There is no fumbling with luggage for them, no long lines that cause anxiety about whether or not flights will be made. For these well-prepared travelers there is only a steady and sure progression from the door to the inner chamber. There is far less uncertainty for these wanderers. They know for where they are bound and they have prepared themselves and been prepared sufficiently. So it is with our Lodges. Let us guard well the West Gate. WB Martin O'Brien is a Past Master of Cuyahoga Falls Lodge #735, now Star Lodge #187 in Cuyahoga Falls Ohio. 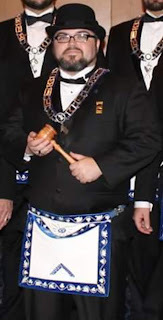 He is a member of Cuyahoga Falls Chapter #225 Royal Arch Masons and Cuyahoga Falls Council #144 Royal & Select Masters. "Men of good reputation and solid character used to be more common than they are today. We don’t teach the value of it anymore. Our society is so focused inward on ourselves, and our own selfish needs. We are a society of grown children, fighting and arguing on social media just like children used to fight and argue on the playground. We’ve never grown up and become men, because we haven’t had the role models. And just like children, we don’t think about what we’re saying, and we don’t think about what our words and actions are saying about us." Our role models have been TV stars, movie stars, rock stars and sports stars. We’ve been raised through television. I was what was called a latch key kid. Mom and Dad both worked, so I’d get off the school bus, walk home, turn on the television. It was my babysitter. With the advent of cable television in the early to mid-1980’s, I would watch MTV. I would see images of rock stars behaving like children. There were videos with drinking, partying too excess. The sexual exploitation of both women and men was rampant. I was lucky enough to understand at a young age that it was just fantasy, but still I wonder what type of an effect it had. I was, and still am lucky enough to have both parents. But many of my friends come from broken homes, where mom or dad was left to work 2 or 3 jobs. Mom or Dad was absent. In most cases, (84% they were raised by single moms). A large percentage of our teachers were female also. I went to a Catholic Grade School, so from k-8, I had no male teachers. The first male teacher I had was in High School. I didn’t really have any male role-models to look to. Also, my dad didn’t want to play with my brother and I after work. He wanted to come home, have a few beers and unwind. I love my Dad, and I don’t fault him for that, plus he probably had a hard time relating to me. Although he was a role-model, I liked things he didn’t understand. I used to go to a place in Bradley IL, called Castle Hobbies. I’d meet my friends there and we’d play Dungeons and Dragons, or Warhammer 40K, and other various miniature or role playing games that were being played. My Dad didn’t understand the point of it all. He’d tell me this on many occasions. I think that he understood that I was off the streets, and not spending the money I had on drugs or alcohol. Although he did wonder why I was spending it on polyhedral dice. My generation has been bombarded with 40 to 50 plus years of targeted advertising that teaches happiness = stuff. We are conditioned to believe that success is a measurement of what you own, not who you are. The size of your house, the clothes you wear, and the type of car you drive are all indications of how ‘Successful’ you are. We’ve been taught to consume, consume, consume. As Fight Club asks: “Do you know what a duvet is? It’s a blanket. Just a blanket. Now why do guys like you and me know what a duvet is? Is this essential to our survival, in the hunter-gatherer sense of the word? No. What are we then? We are consumers. We’re the byproducts of a lifestyle obsession.” Couple this with many of us not having a real male role-model growing up. Is it any wonder we’re all angry and selfish children? I was lucky to have some male role-models in Scouting. They coupled with my Dad’s apathy towards volunteering made me want to be a volunteer soccer coach for my son’s teams, and also to be a Scout Leader. It was through Scouting that I met fellow Midnight Freemason Greg Knott. Greg Knott often jokes about him giving me 'Structure'. But he's not half wrong. Freemasonry came along for me when I was at cross-roads. You see, I was one of those selfish grown children that Todd referenced. I won’t get into details, but Greg saw something untapped in me that I didn’t recognize. He saw potential. He reached out to me. He told me about how Freemasonry promotes many of Scouting’s ideals. He helped to set me on a path that has changed my life forever. It was through Greg that I met Todd Creason. I slowly got more involved in helping them both with their mission to restore Homer Lodge #199. They both have become not just great mentors, but really good friends. All because Greg took a chance on me. There has long been a notion within Freemasonry that ‘We make good men better!’ I would argue that this is false. First of all, we’re not just accepting good men. Every year at Grand Lodge when the role-call of Brothers being expelled for committing a felony is read, I’m reminded that we need to do a better job of guarding the West Gate. Secondly, we hardly go out of our way to make men better. How many times do we bring in a candidate only to have him attend lodge a few times, and then never return? Now, I will say some of this is on the individual brother, but most of it is on us. You see we are failing each other even in lodge. The idea of making someone better implies that someone is doing the teaching. Like I stated, I was lucky. I had a Masonic role model to emulate when I joined the lodge. But not everyone is as lucky. We as Masons also need role models. Now I’m sure if you’re reading this article, you can probably think immediately who you consider a Masonic Mentor or role-model. If you’re like me, you have several. But are you a mentor or role – model to someone else? Are you going out of your way to make new brothers feel welcomed, are you helping them with ritual, are you answering their questions as they come up? You see, we have an untapped market of men that we can reach. There are now a few generations of men that would benefit from having a Role – Model. We need to step up to the task. How do we do this? I think it’s pretty simple really. 1. Guard the West Gate. We need to admit men that are going to actively participate in Freemasonry. Admitting everyone who has a pulse isn’t going to help our issues. We’re just going to spend more time chasing after late dues payments. Identify good men and make them your priority. 2. Stress Education. We need to structure our business meetings around Education. Get good speakers from the community (Masonic and otherwise) to address topics that men care about. Eliminate the waste from the business meetings. Bills can be auto-deducted, the Treasurers report can be emailed, as can the Secretaries Minutes and Announcements. Cut out what you can and keep only the essentials. 3. Be an exemplar. Let your actions speak louder than your words. Don’t engage in things that could soil your reputation or that of the Fraternity. Especially on Social Media. 4. Be a Mentor. Take new members under your wings. Meet with them outside of lodge, address their questions and concerns. Listen to their ideas. 5. Teach others how to do be a Mentor. This is self-explanatory. Pay it forward. Teach the men you mentor how to be Mentors. 6. Do things outside the lodge as a group. Last, but certainly not least, organize fun events for your members and their families. The events can be informal or formal. A few accounts claim certain famous men who were not Freemasons intended to join the fraternity but circumstances did not permit them to do so. Notable among these are Dr. Martin Luther King and President Abraham Lincoln. King likely was to have been made a Mason upon returning from his tragic trip to Memphis. Lincoln actually petitioned Tyrian Lodge No. 333 in 1860, but decided not to join until after his presidency, thinking becoming a Mason would look like he was doing so for political purposes. 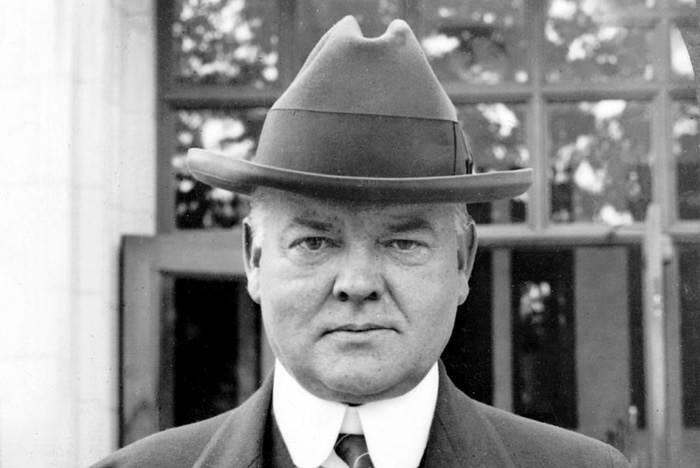 There has never been any doubt about President Herbert Hoover's Masonic status. He was not a Freemason. History nor Hoover himself have never had much to say about why… he just wasn't. I never did learn what he was speaking about, unless it was that Mr. Hyde told me once that Mr. Hoover would petition the Masonic fraternity if he thought he could get in. The inquiry came before campaign time and I assured Mr. Hyde that he knew, as well as I, that any attempt to present a petition at that time might be regarded as campaign propaganda. He said Mr. Hoover wouldn't consider it in that event and the matter apparently dropped here. Another interesting thing Mr. Hyde said to me, was that when Hoover attended college in California he was not a member of any college fraternity. Several fraternity men attempted to keep him from going with Miss Lou Henry, later his wife, who was a sorority girl; this angered him to such an extent that he always regarded fraternities with a questionable eye. Not until after his experiences in Europe and this country did he assume a favorable attitude towards them." Hoover's situation, then, was somewhat similar to Lincoln's — political reasons may have prevented him from becoming a Freemason. What's more, he may have put off thoughts about joining until it was too late due to a prior negative experience with fraternities. It's not clear how seriously Hoover may have thought he wouldn't "get in," but it is a near certainty he would have been elected to receive the degrees had he done so. Lincoln, King, Hoover and probably many others have considered knocking at the outer door but for whatever reason just didn't take that first step; and in the vast majority of cases it's a shame. The craft most certainly would have been all that much better having them as Brothers. Freemasonry--that age old fraternity that conspiracy theorists claim “control everything”. We say, "We don't know anything relating to a ‘World Agenda’". They say, "You're just not high enough in the order." But what if for the first time ever, a Freemason, me, told the truth about how it's possibly all true? I guess, there's just no great way to begin, so I'll just illuminate all of you, right here, right now. In abbreviated form, keep reading for the truth. In the beginning, man was simple, relating more to the side of primates. In fact, we lived alongside primates of every kind. Life on Earth was a paradise. Not in the sense of paradise like we know it to be, but in the sense of a well maintained eco system of flora and fauna. This was the case of course until the arrival of a sizable force of aliens had arrived. These aliens did in fact, alter the human DNA while here. Perhaps to make docile workers in order to mine gold for their home world. There were many races, dwarfs, fairy types, giants or nephilim, elves and more. Even the mixed races like satyrs and minotaurs were among the creatures roving the lands. Humanity then revolted after a while, due to a few of the alien overlords giving man certain pieces of knowledge. They learned the truth! The wars that ensued are outlined in Hindu texts. Human kind then evolved and formed high societies. These societies formed huge kingdoms all over the Earth. Heretofore, I have referred to our planet as Earth, however all of these events I have described, happened before we were Earth. Before we were Earth, we were called Tiamat. It was a monstrous planet and all around it were technologically advanced civilizations, utilizing technologies that would seem foreign to us even now, because they were in fact thousands of years more advanced than our current evolution of humanity. These cities survive today as the mythical legends of Atlantis, Lemuria, Avalon, Shangri-La, and Camelot. At the apex of these civilizations existence, something truly remarkable and devastating happened. Nibiru, the mythical "Planet-X", a planet the size of our current Earth, and that has a wide elliptical path through our solar system, was identified as having been on a direct collision path with Tiamat. Tiamat's leaders could do nothing to prevent this. All was lost when Nibiru smashed into Tiamat killing almost all life and eradicating most traces of the mythical lands we read about. Nibiru's trajectory had forever been changed and in fact would never return to it's prior orbit. However this impact created two new bodies known today as Earth and the moon, the only remnant of the once giant paradise, Tiamat. The rest of Tiamat is observable as our very own asteroid belt. Space debris. Mankind's cellular DNA was spread all over the leftover mass of planet. Fast forward millions of years man develops and evolves yet again and civilizations like the Ancient Egyptians eventually discovered some of the high technology of our previous incarnations. These technologies were developed into teachings, which were so powerful, so life changing, they were only given to the priests and kings. These were the beginnings of the mystery schools. These schools eventually were adopted by many other cultures like the Greeks as the Dionysian rituals and to the Romans in their Mythraic cult which worshipped Sol Invictus. The gods of old, the legends of Enoch, the legends all around the world of gods or watchers or angels, came to Tiamat and gave us civilization. Whether it was Quetzalcoatl, Kukulkan, Wan Hu, King Arthur, Hiram Abif, Thoth, Hermes Trismegistus or the mythical Jack Burton and David Lopan, they were here. Freemasonry became the home of this hidden history and this is how we control the world. We practice the teachings discovered by the ancients, handed down to us from the unknown superiors and ....I almost had you. Almost. Many of my fellow Midnight Freemasons have no idea that I belong to another secret society. Ok – so it’s not really a ‘secret society’, but I play in a draft simulation league using the Diamond Mind Computer Baseball Game along with 20 other so like – minded individuals. Our league has a ‘Reunion’ each year at our annual draft. Normally, we have at least 7 of us owners get together in person, while the others are in a chat room. We draft players that have made their MLB debut in the past year, or that are on the Free Agent List. I had the number 1 overall pick this past year, and selected NL Rookie of the Year, Cody Bellinger. But enough about my league and team, if you’re really interested in this, you can visit my league at: http://www.midleague.com/. My team is the Spartans in the Yount Division. Every February when Pitchers and Catchers report for Spring Training, hope springs eternal for every baseball fan. As a long suffering Cubs Fan, every year was ‘This is the Year!’ for me. Thank the Great Architect that in 2016 my prayers were answered and we won the World Series breaking a 108 year drought. Just think about the number of Master Masons that were raised during that time! But would you believe that there are some more Masonic connections? When it comes to our National Pastime, there have been many players and executives that have been Freemasons. The list includes: Grover Cleveland Alexander, Ethan Allen, Charles Albert "Chief" Bender, William Benswanger ,Tyrus "Ty" Cobb, Mickey Cochrane, Branch Rickey, Authur "Dazzy" Vance, Denton T. "Cy" Young, Carl Hubbell, Honus Wagner, Alexander Cartwright, Jr., Rogers Hornsby, Mordecai ‘3 Finger’ Brown, John Franklin 'Home Run' Baker, and Edward Trowbridge Collins, Sr., and “Mr. Cub” Ernie Banks, among others. A performer of one of the most famous poems about Baseball: ‘Casey at the Bat’, William DeWolf Hopper, was also a Freemason. Although Abner Doubleday is credited with inventing the game of Baseball, there’s evidence that this is false. Most Baseball Historians actually credit Alexander Cartwright Jr. , a Freemason, with having a role in developing the “Knickerbocker Rules” upon which the modern game rules are based. However, an article in SABR magazine in 2014 call this into question (http://sabr.org/research/creation-alexander-cartwright-myth). Like Freemasonry, it seems that the actual origin of Baseball is mysterious. There is no doubt though, that Freemasonry must have had a hand in the creation of Baseball. 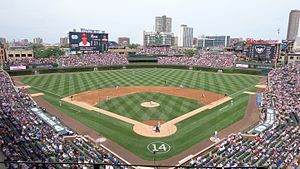 The baseball diamond itself is a Square. Furthermore, the Square and Compass can be imagined upon the Baseball Diamond. The Square extending down the first base and third base foul lines from home plate , while the compass overlays it being formed by drawing an imaginary line starting at second base extending towards first and third base. The semi-circle of the outfield walls would be drawn with the compass. The “G” resting on the pitcher’s mound. 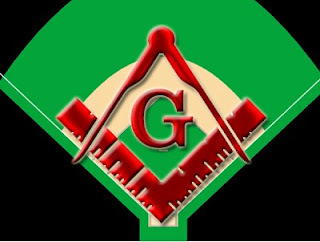 Furthermore, the way in which the baseball diamond is laid out, evokes the Masonic Lodge. You have bases in the four cardinal directions, East, North, West, South. The lodge is laid out in a similar design, but instead of a square, it is in an oblong rectangle from East to West, between North and South. In fact, you could almost think of the pitcher’s mound being in the same place as the Altar. The field is cut in a checker board pattern, evoking the Mosaic Pavement which reminds us of human life checkered with Good and Evil. At Wrigley Field, home of my beloved Chicago Cubs, you have the Ivy which returns year after year, evoking the memory of the Acacia sprig. Furthermore, there are four stations in the Lodge, The Worshipful Master in the East, The Senior Warden in the West, The Junior Warden in the South and The Tyler. If one considers The Tyler’s duty, to guard the lodge from those that are not initiated, you can see the duty of Catcher as being similar. The Catcher has to guard home plate, to try to keep the other team from scoring. But there are further allusions. Baseball like Masonry, is a system of ritualistic rules. Like the candidates move from Station to Station during a degree, the runners move from base to base. There are three bases in Baseball around which the player must travel before going home and scoring a run. There are three degrees in Freemasonry that a Candidate must proceed through before becoming a voting member of his home lodge. Like in Masonry, numbers play an important role in Baseball. The number 3 and number 9 hold special significance. This might also explain why baseball is so adherent to statistics. In the past 30 years, you have seen a movement towards a study of advanced statistics called SABERMETRICS, which is the application of statistical analysis to baseball records, especially in order to evaluate and compare the performance of individual players. Arithmetic or mathematics, being one of the seven liberal arts and sciences, hold a special place in Freemasonry. Of course, there’s no direct proof of Freemasonry having influence over America’s past-time. However, there’s a lot of circumstantial evidence. Maybe the next time you watch a baseball game, you’ll look at it in a new light. There can be no denying though, that like Freemasonry, Baseball has spread throughout the world. Like Freemasonry, it brings together men of every race, creed and background. Is there anything more Masonic than that? “I SAY THEY ARE A MENACE!” Herb Johnson said as he banged his fork on the dining room table accentuating each word by pounding the table, “THOSE KIDS ARE RUINING THINGS!” With enough force the vibrations knocked over a salt and pepper shaker sitting near him. “See! This is why we can’t have nice things!” Mike Bailey said breaking the tension caused by Herb’s temper tantrum. “I swear Herbert your screaming about “those kids” makes you sound like a Scooby Doo villain!” The whole table laughed, and everyone turned to look at Pudge who was choking on his beef and noodles through the laughter. Bailey continued “If you don’t calm yourself you are going to give yourself a heart attack.” Herb began to sit quietly and began to spread butter on a piece of white bread quietly while muttering something under his breath. Herb began to breathe quickly as his eyes appeared to grow several sizes larger in his head, sweat ran down his forehead while his hands began to shake. The entire table grew nervous about the old Past Master's medical condition as he began to speak. “Jerry, you mentioned how many problems the kids have caused you in the maintenance of the temple, but let me ask this; How many times have those some young boys and girls helped you by volunteering to work on the building on weekends?” Jerry lowered his head “Quite a few, John. They have helped paint the walls of the lodge rooms and the ball room and helped me strip and reseal all the floors. They have also cleaned out all the junk from the basement and the attic. Actually, they help out a lot. It really saves the building committee a lot of money by not paying out labor.” The old man smiled “How many of our Masons were there on these weekends?” Jerry laughed “Oh, maybe one or two...”. The whole table laughed. “Jerry, I’m sure if we found some nice brass discs or nice plates we could catch that wax instead of it falling on the floor of the lodge room.” The Fifty Year member said. “I’ll talk to the Chapter’s Dad. I bet we can come up with something.” Jerry replied. “I don’t know about the rest of you,” Mike Bailey said as he wiped his face with a napkin “But I am going to get me a piece of blackberry pie and a cup of coffee before we open the lodge. Herb, I’m not sure you need any sugar, and you sure don’t need any coffee! You are wound up enough. If we give you any more stimulants you won’t quit talking and we will be in lodge until midnight!” The whole table began to laugh Herb replied with a bit of mischief in his voice, “Mike I can handle pie and coffee better than that belt you are wearing can. It looks like it's going to give way and explode at any moment!” as the table began to laugh even harder. Pudge stood up and began to walk to the lodge room with the Fifty Year member “Honestly,” Pudge said “I think these guys and their back and forth insults are the circle in Masonry.” The old man laughed “Oh it’s a circle all right but these stooges are more the Imperfect circle instead of the perfect circle.” The old man laughed and said quietly to Pudge, “Funny thing is the joke is on all of them. I took the last piece of pie before I sat down. They are all out of luck.” Both men laughed themselves silly as they walked into the lodge room. I recently took the first of my three apprentices. That is probably a bit of an obscure statement to most people, so please allow me to explain. The Schaw Statutes go on to further lay out some rules for apprenticeships, such as the term (fourteen years total, which may be abridged by a vote of the lodge), how the Master should care for the apprentice (he can’t, for instance, sell him to another Master), and some fines for breaking these rules (40 pounds, or approximately $11,234 in today’s money, if the University of Wyoming can be trusted to calculate the inflation properly). While this information is definitely interesting from a historical perspective, and is worth your time to read over, it doesn’t directly pertain to the topic of this paper and can safely be ignored for now. Is there a value to following this same guideline today? If you’ve read any of my other papers, you know I don’t ask a rhetorical question like that unless I plan to address it in a way that supports my intention for writing the paper. But first, as is usually my habit, I’m going to go on a long winded rant that will describe the problem in enough detail that even those unfamiliar with the situation can understand why the solution is important. 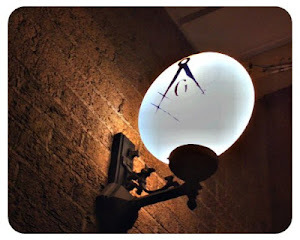 In my few years of Masonry, I have seen many men get rushed into Masonry, and then, for various reasons, leave again. Some of them went on to be a part of the higher grades of Masonry, such as the various Rites, some were absorbed directly into the Shrine, but many of them just disappeared, never to be heard from again. Now, I know we’ve all talked about the “membership issue” from many different thought processes (I personally like “we’re not declining, we’re refining”), but this is one angle that I haven’t seen discussed yet: what a WASTE that system is. It’s a waste of a man who, if given the proper guidance and training, may have been an amazing asset to the lodge. It also means that if he ever does receive what he came to us for (improvement of self through esoteric knowledge), it won’t be from us, and we are supposed to be the experts on the topic! Equally bad, it’s a waste of our time, and I can’t speak for you, but my time is severely limited. In addition to the time spent on the degrees themselves, there is the time the lodge spends practicing in preparation, and the time each brother spends individually practicing to give the candidate the best degree possible. (At least, I really HOPE you are, and if you need any motivation as to why you should be giving the best degree possible, go read my paper titled “On The Membership Issue or: Why The Troma Rules of Products Doesn’t Apply to Freemasonry”) That time is time that I could use for a dozen other things, like writing papers, or playing with my daughter. I definitely don’t want to waste it on someone who isn’t going to stick around. “Someone who isn’t going to stick around”... That sentence sounds so much like I’m blaming the candidate for leaving us, but the truth is, it’s very rarely his fault for leaving, it’s almost always our fault for not keeping him. Shame on us. Some of the smarter lodges will assign a mentor, who will work one-on-one with the candidate during the whole degree process, to help him memorize the ritual work he will have to recite, and even answering the occasional question, if it isn’t too complicated. This man will continue to work with the new brother until after he has completed his Master’s proficiency, but will most likely move on to the next as soon as that is finished. To paraphrase Andrew Ryan, I reject those answers; instead I choose something different. I choose the impossible. I choose apprenticeship. It may seem that taking an apprentice isn’t really that different from being a mentor, however there are some key differences. “Apprentice” implies first that he will be learning everything I know to teach him, not just the memory work for his proficiency. Now, I’ll grant that I know only a small portion of everything there is to know Masonically, but it is my hope that in the process of teaching, I’ll also be learning from him, and so we both become better Masons for it! Since (per the Schaw Statute) we are limited to three apprentices in a lifetime, I must be significantly pickier about who I choose for this process, as making a mistake in the selection means a large waste of time and resources, and it also means that someone who would benefit more from it is missing out. Note, I do plan to stick to this very strictly, unless (as Schaw later allows for) there is an extremely extenuating circumstance, in which case I will seek guidance from my three apprentices as to how they believe I should proceed. I will be turning to them instead of to all the masters and wardens, because I have no idea how large my sheriffdom is. Finally, “apprentice” implies a significantly more intimate connection than a mentorship under the current process achieves. It is my hope that by the end of the apprenticeship, his family and my family have become friends, and that he and I are truly like brothers because of our shared experiences studying. In short, I hope that we have become what our founders envisioned us to be. There are still a lot of unanswered questions, things I’m not quite sure how to tackle, but I’m hoping that once we get started it will become an organic process. I also imagine there will be quite a lot of adjusting course as we go along, so I’m trying to keep my plans flexible. As I said in the title, this is an experiment. Hopefully, the results will inspire some of you to try it as well, and the details of the process will help you avoid some of my pitfalls. So, as I said at the start, I’ve taken the first of my three apprentices. His name is Neil, and over the next year or so you will get to experience his journey along with him, both through my observations (again, remember this is an experiment), and through his own words. His Entered Apprentice degree is in the very near future, so we will have quite a lot to talk about in the near future!